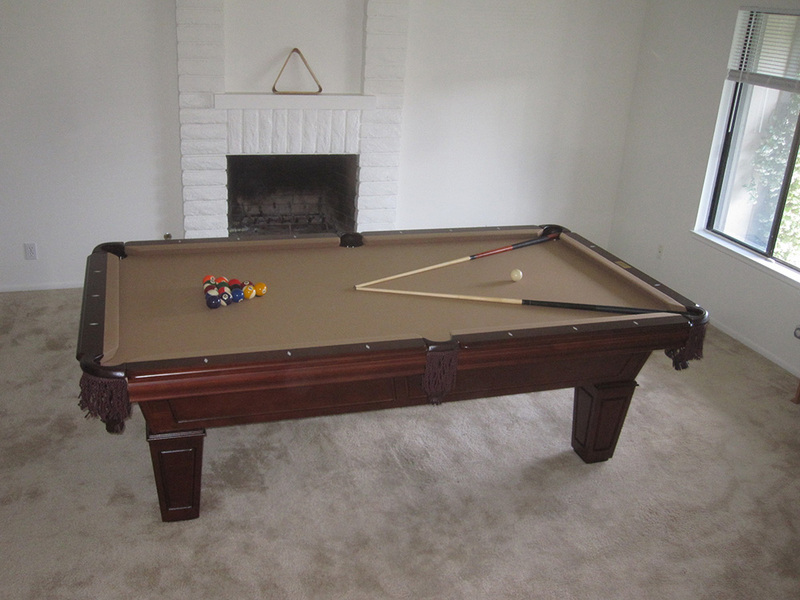 This is an eight foot Fischer “Duke” pool table we delivered to our clients in Yorba Linda, CA last week. These pool tables are imports made in Malaysia, in the same factory that produces American Heritage pool tables. One of the major differences between Fischer and American Heritage is the way that the slate liners are attached. 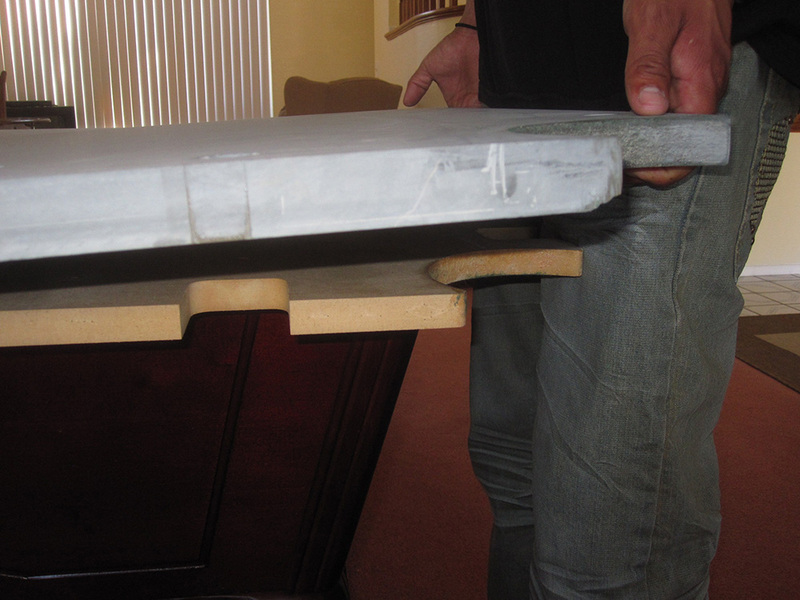 On all Fischer pool tables each piece of slate has an “MDF” (medium density fiberboard) wood backing that is glued directly to the bottom of each piece. 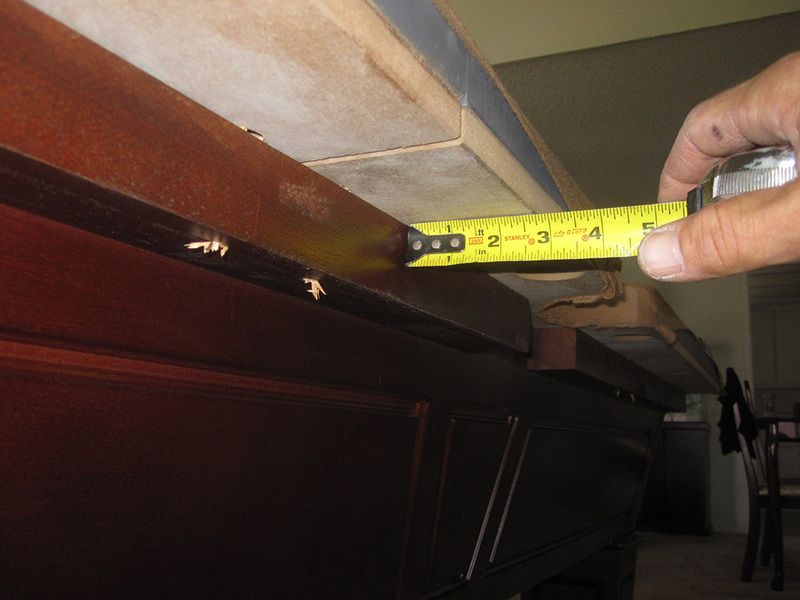 However, on all American Heritage tables, a very large piece of MDF is attached to the top of the cabinet. Large sections are cut out for the the installer to wedge the slate from underneath. 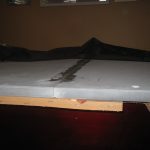 One of the advantages of having the slates lined with wood is that if the pool table ever needs to be moved, the slates are much less likely to be broken during transport. 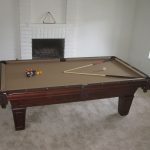 The second advantage of having a pool table with backed slate is evident during the installation process. 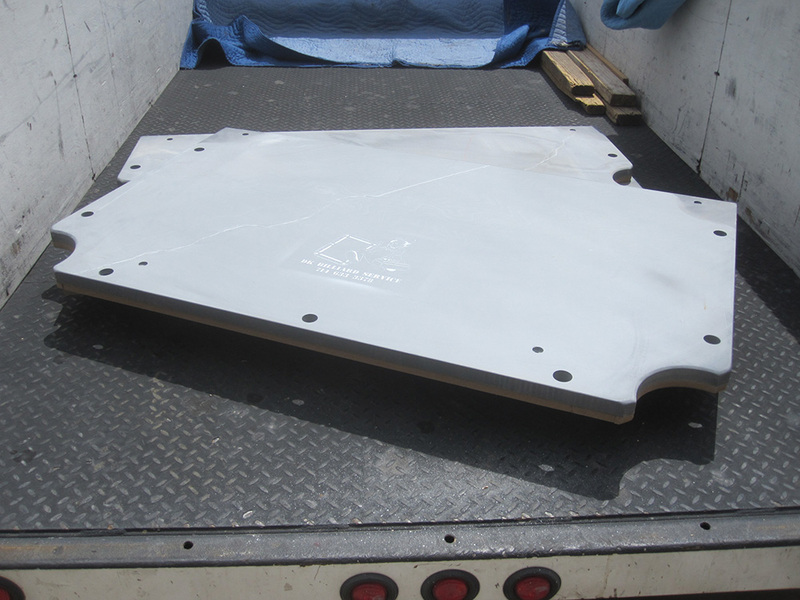 Wood wedges are used to precisely level each piece of slate before the felt is installed. 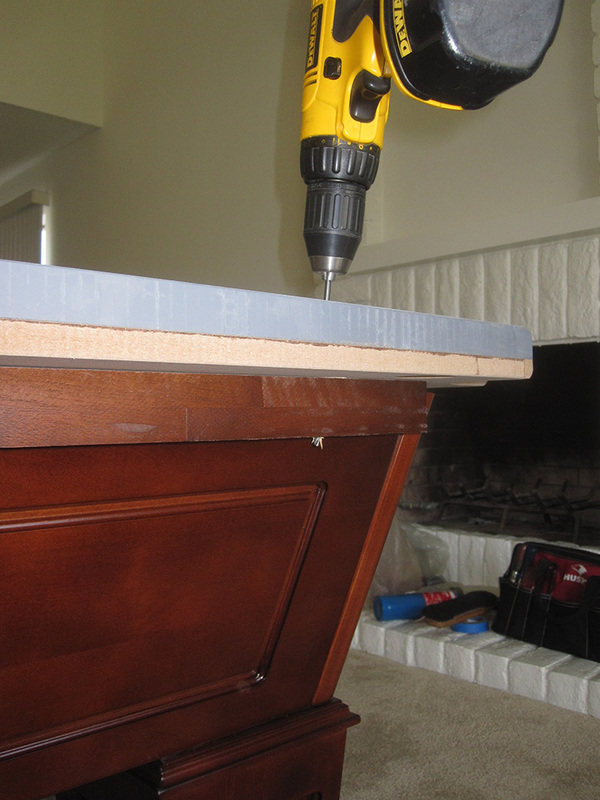 In the case of Fischer which has slate that is backed, the leveling wedge is directly leveraged against the top edge of the pool table’s cabinet/frame. This foundation is usually about two to three inches in width. 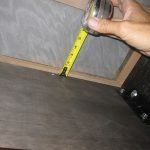 Conversely, in the case of American Heritage, with it’s slate liner that is attached to the pool table’s cabinet/frame, the leveling wedge enters directly between the slate and liner and there is a six to seven inch over-hang of slate liner wood, which is twice as far away from the top edge of the pool table’s cabinet/frame. What this boils down to is a lot of the energy exerted by the leveling wedge is absorbed by this extra slate liner over-hang. This means that the slate must be raised even further off of it’s foundation. In the long run this will lead to more sagging of the slates and more problems with the slate seams settling and becoming uneven. The tell-tale sign is always a faint white line that crosses the width of the felt where the two seams are, and sometimes the pool balls will hop slightly as they pass over the uneven slates. I have a older Herculies Table in process of setting it up It to is a unbacked slate. 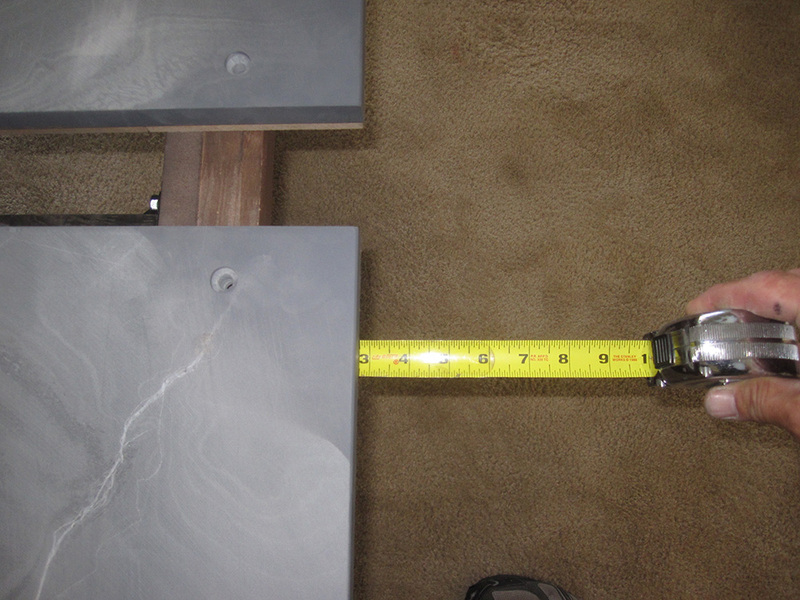 Why couldnt the undeslate rails on these and AH tables be cut and attached to slate and then shim between the frame?They could be contact adhesived to slate! I am in process of setting this table up and cant complain as its solid oak and I bought it unassembled for 100 bucks! Better than the old particle board table i used to have! Does anyone know if k66 cusions work on hercules tables? hello Kent, not familiar with the model you have but to answer your question regarding the removal of frame attached liner. 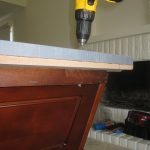 You can remove the liner from the top of the frame and cut into thirds and attach each piece to the bottom of each piece of slate. the only downside to removing the large piece of MDF from the top of frame is that the frame will lose all of it’s rigidity on top. 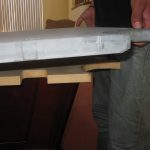 So what you’d have to do is reinforce the top frame again by using plywood or MDF strips to line the top of frame and upon doing this you will raise the height of the pool table by 3/4 inch, which is probably ok as most people won’t have trouble with the slightly higher playing surface. 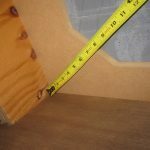 In my opinion the new new top frame liner does not need to extend over the sides and ends of the frame more than about 3.5 inches. 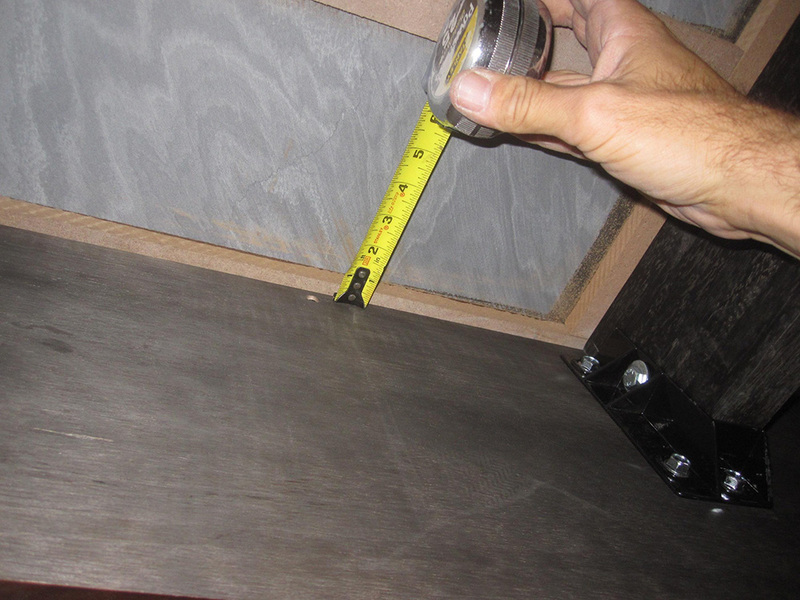 Be sure to attach slate screw receiving blocks to the underside of the new frame liner. 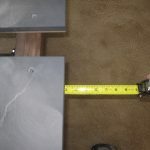 This will allow you to use longer slate screws without them protruding out of the bottom thus allow for a tighter connection of the slates to the frame. I use a K-66 cushion rubber on my Amer Herit recushion jobs. 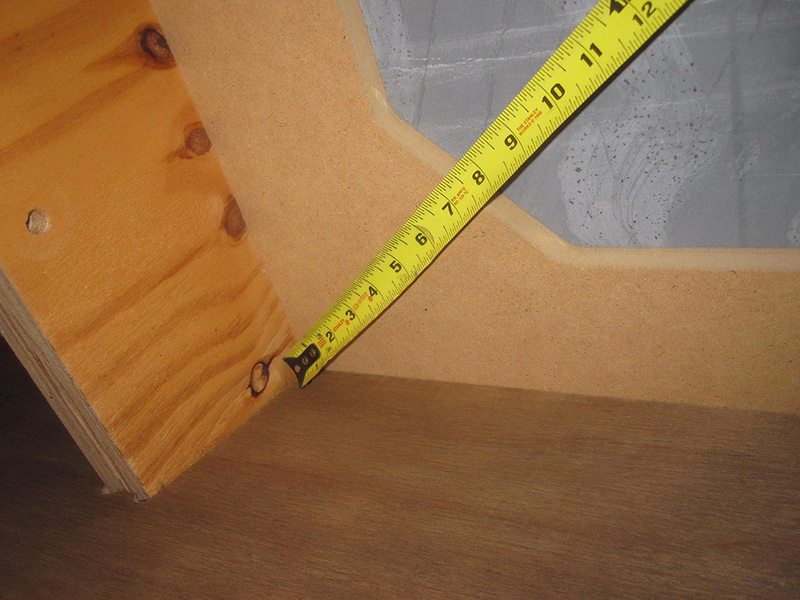 FYI, you might want to plane down some of the wood hump which the manufacturer uses for cushion alignment. It’s nice to have the hump there as a guide to properly aligning the rubber when you are gluing it to the rails but I have noticed that the the cushion kind of creeps off the wood just a bit before the glue has a chance to dry thus creating a poor bond between rubber and rail. I’ve been a ‘Pool Table Mechanic’ since 1978 . .Everything from recovering someone’s Bruns. Bristol in their basement re-room to Setting up tables for some of the top One Pocket players in Philly to full restorations of Antiques . . .I do all the A-H installs bought on the internet in my area. American Heritage is some of the worst junk on the market, but the most ridiculous thing ever is the Pottery Barn table. It’s made By A-H and should probably sell for about $1795 complete , but NO, it’s ‘Pottery Barn’ and lists for $7K. Good morning Ken, I could not agree with you more. Thank you for your comment. Best regards, DK. So glad to read your comment. We have a Pottery Barn table (American Heritage) on order and became hesitant at the last minute. We just finished our basement and are looking for a table that looks good, fits our modern farmhouse taste and our growing teens will enjoy. 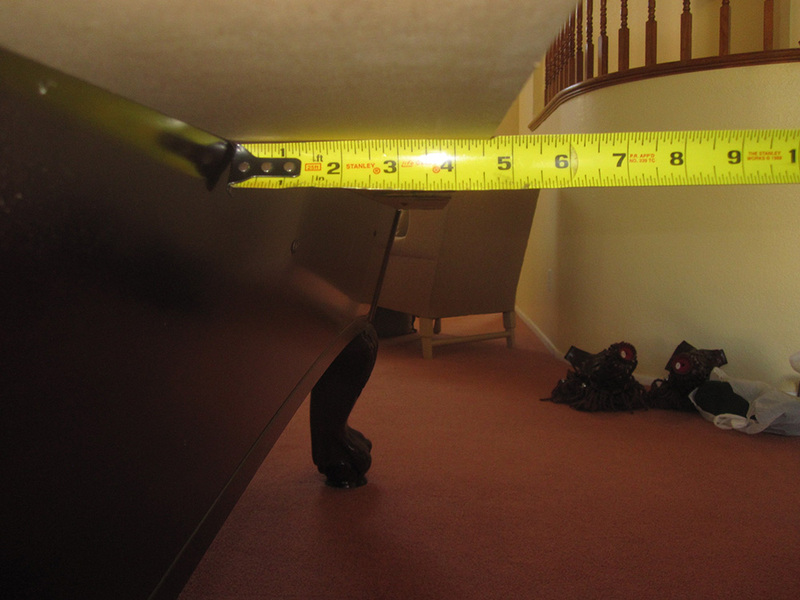 We would like to spend under 4k and found a Plank and Hide table we liked. 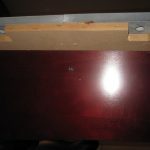 Any experience with those tables? There are many options available, but you would need to narrow down a budget and style/size. Start with browsing our online selection here. Moving have American Heritage #44445. How many pieces is the slate in, two or three. Do you have instructions to do this? Darrell, all American Heritage pool tables are three piece slates. 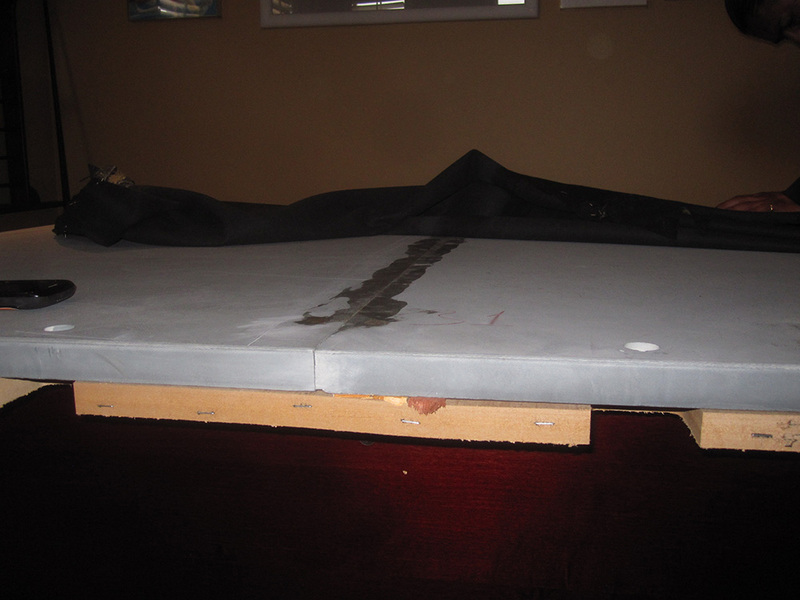 The safest way to move a slate pool table is to disassemble it from the top down. 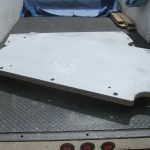 Start by removing the rails and pockets from the slatebed. 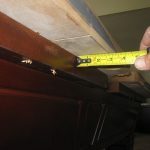 Then carefully remove the felt without tearing it because 99% of the time a skilled billiard mechanic will be able to re-stretch without problem. Once felt is removed you’ll be able to locate all 12 slate screws and remove them. Mark the slate’s position with a sharpie before removing them from the frame. After that simply unbolt the legs and you’re done! 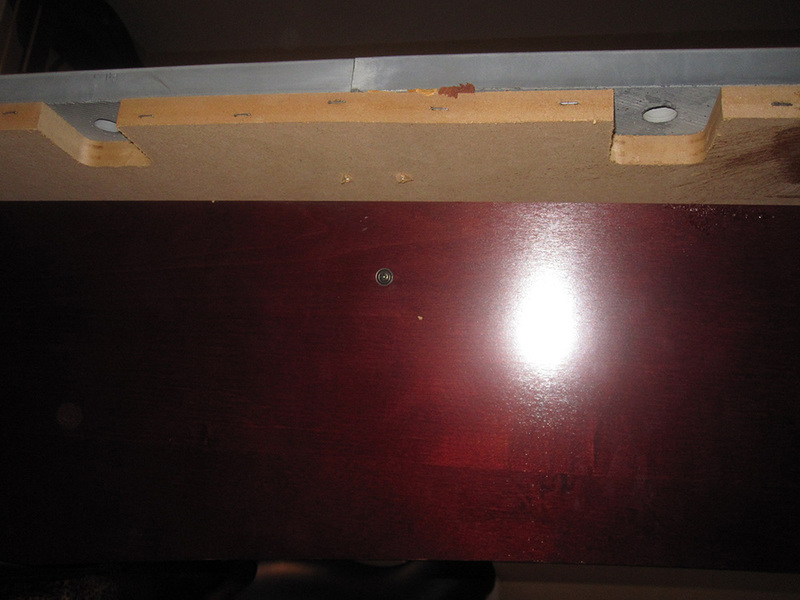 Remember to never lift or hold the pool table by the legs because on all older AH tables the insert embedded it the legs will come out at a moments notice and the frame will crash to the floor. Been there done that. Good luck, David. This is easy. Buy American MADE. Not American in name. Neither Fisher or American Heritage are good tables. They just look good. They play like crap. Also, NEVER just pick up and move a table. take it apart first. Hi LJ, you are correct American Heritage and Fischer, aka CL Bailey Co. pool tables are not made in the US. However I fully believe in the pool tables manufactured CLB. Over the past 9 years of selling and installing their products I believe them to be one of the best import pool tables on the market for a number of reasons. First and foremost is their usage of attached slate liners. Here’s my issue. We ordered an American Heritage table through Costco and we’re currently getting the runaround from the manufacturer in trying to get the thing delivered. With a three week timeframe from ordering, given me some time to look at the reviews and I am NOT at all happy with what I am reading about American Heritage slates not being backed – and this 5″ overhang concerns me. I don’t know much about pool tables but from an engineering perspective I don’t like how this is designed. More jerking around from AH; she has not returned my call on this, I am calling Costco now to cancel. Hi John, I hope you resolved your indecision on whether or not to purchase an American Heritage pool table. Best regards, David.